I had a night vision as I lay in bed 03/07/2014. In the vision I saw a group of believers gathered in a circle holding hands. In the middle of the circle was the Cross of Christ. It was dazzling white in appearance. I saw power emanating from the cross in the form of small lightning bolts and the bolts were striking the people in the circle in their foreheads. They were receiving power from the cross. What I noticed in the dream as well was there was darkness all around save for the light coming from the cross that was illuminating the circle where the believers were gathered. The cross was the central thing that they seemed to be gathered around. I had a dream 12/25/2013. 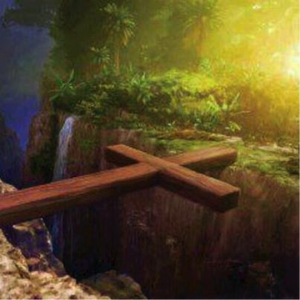 In this dream I saw a familiar painting of the cross of Christ bridging the gap between 2 cliffs with hell being underneath. However, that’s where the familiar ends. What I see next was people walking on this cross to the other side, I.e., heaven. They did not make it to the other side because as they would walk on this cross the cross would tip and the people walking on it were falling into hell. This is the result of a false gospel, a false Christ, a gospel without the cross which is no gospel. Never forget that… — Learning To Be Full Of Grace And Truth. via Never forget that… — Learning To Be Full Of Grace And Truth.